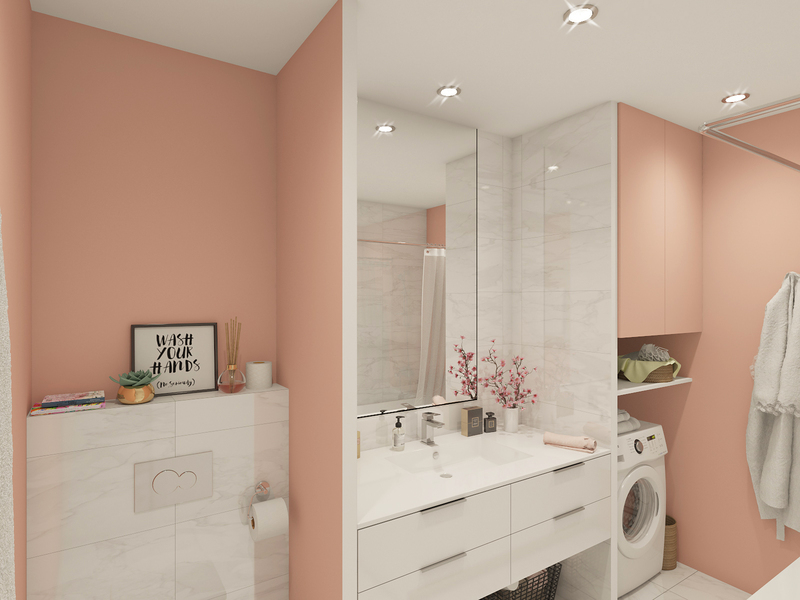 3D rendering bathroom made in pastel colors. 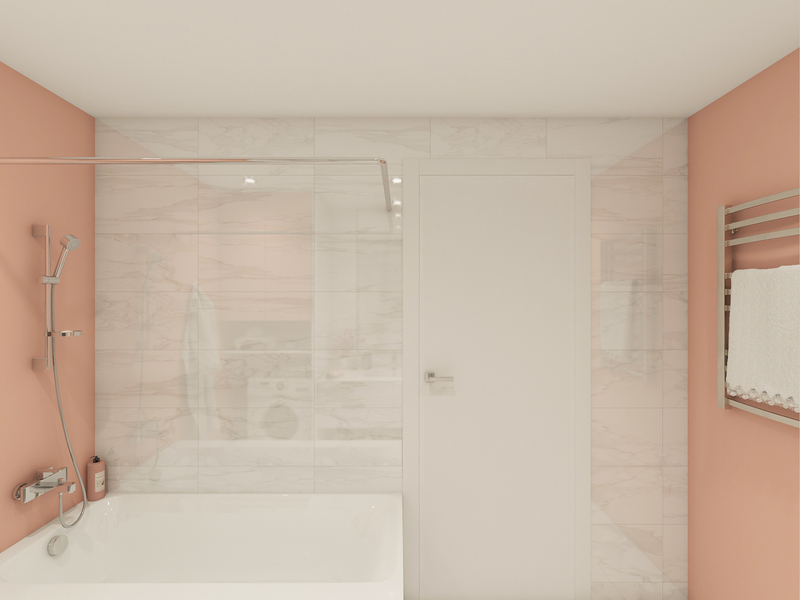 Bathroom size 5.99 m2. It situated in an apartment on the sixth floor area of 80m2. The designer decided to divide the bathroom into four zones. 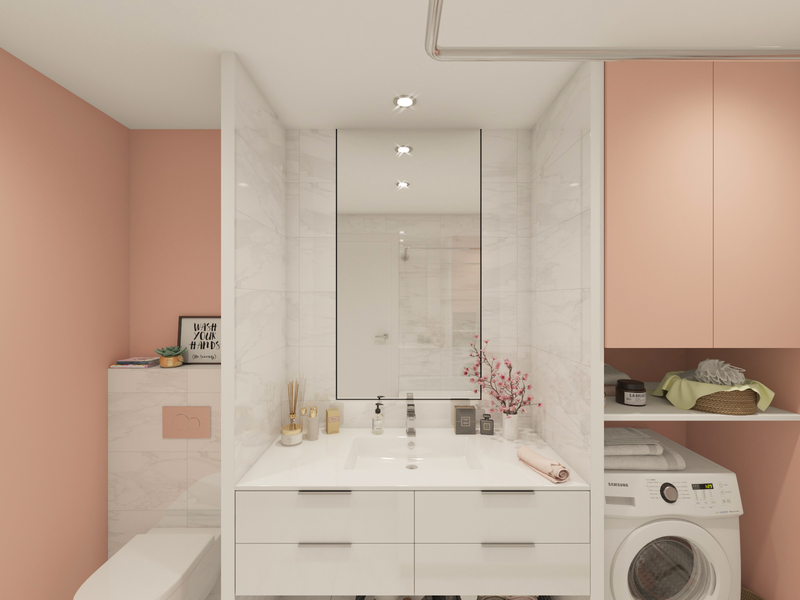 The first zone is a toilet, the second zone is a sink with drawers, in the third zone there is a washing machine and a whistling closet, in the fourth zone there is a bathroom, which separated by a curtain. 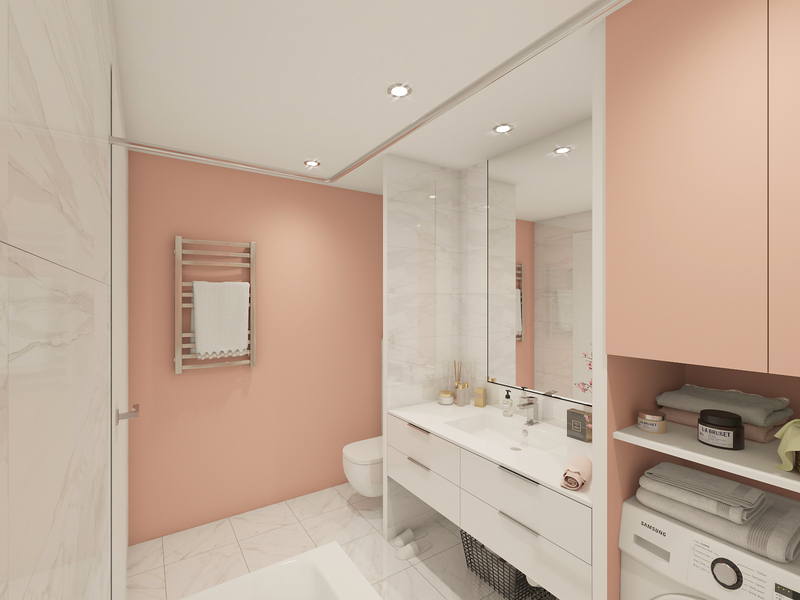 Thus, looking at the 3D rendering bathroom, the designer made the room cozy and roomy. 4-point lights illuminate the bathroom. We also see that there is a place for the dryer too. A large mirror visually enlarges the room. The floor and walls of white marble glossy tiles. In a small room, it is better to abandon the idea of making the floor darker, separated by a border from lighter walls. However, on the same principle it is possible on the contrary – to narrow down too large and uncomfortable rooms. You can try to draw the wall contrast, painting one in a dark color, and the other – in the light. 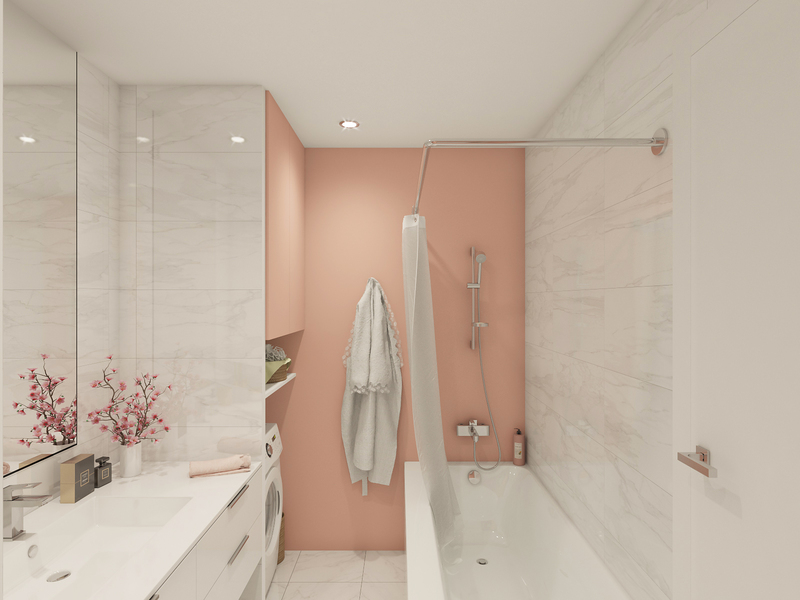 Contrast colors can be distinguished zones of the bath and the bathroom in the combined room. Large format tiles can reduce visual space. You can use a mosaic tile that visually expands the wall. To achieve a reduction in the area of a large room, you can use a tile with a three-dimensional pattern on it. Visually increase the area of the room and make the interior much more interesting white glossy stretch ceiling. His plus is that he perfectly protects against leakage from above. Lighting deserves special attention. With skillful application, it will perfectly decorate any interior, support the overall style and help to adjust the size.